1. Can you tell us about your work background prior to becoming a franchisee of Elements Therapeutic Massage? For 15 years, I was a partner of a company involved with the publishing of Yellow Pages, called LocalTel. We published community telephone books. When I first started the company, we were distributing 20,000 books. By the time I sold my share of the company, we were distributing about two million books. I sold my share of the company in 2005, right before the industry started to change drastically with Google and the value of print ads severely declining. From there, I jumped headfirst into franchising, and became a franchisee of Fitness Together personal training. My partner and I owned five studios including: Middleton, Medford, Reading, Topsfield, and Melrose. Currently, I own just the Middleton studio. 2. 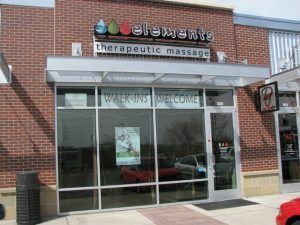 What made you decide to become a franchisee of Elements Therapeutic Massage? I first heard about Elements Therapeutic Massage from my ownership of Fitness Together. Fitness Together Holdings, Inc. is actually the parent company of Elements, so I was already familiar with some of the management at corporate when I decided to inquire about Elements. I really liked the unique model of Elements. I saw there was a need for massage therapy, and I thought I had a good chance to capitalize on this need. I came from a background in sales where you’re only as good as your last sale and I liked that Elements offered the membership model, which offers the opportunity for a steady income. I’ve always had the entrepreneurial mindset, and that’s why I jumped at the chance to open up my first Elements studio. 3. What is a typical day like in your life as a franchisee of Elements Therapeutic Massage? I don’t work the front desk or with the clients too much, so most of my day is spent overseeing the administration, marketing, and accounting departments. I’m checking in with managers, dealing with advertising and marketing vendors, and basically overseeing the entire operation, making sure all of the departments are working at the highest level. My job is to create new streams of revenue, so I’m working with all the individual departments towards that goal. 4. Can you name 3 specific things that you’ve done for your business that have produced the greatest results? Any business — franchise or standalone — is only as good as the people running it. I have outstanding staff running my studio. It all starts with building a great team and going above and beyond the traditional job description. For example, our staff that works the front desk have excellent sales skills as well as customer service skills. You have to think out of the box with your staff. The second component is catering to the needs and desires of our clients. We know especially in this economy that every expendable consumer dollar is so valuable and precious, we really have to earn it. One thing in particular we do is give our clients a survey immediately after their massage so we can address any problems quickly and make sure our client has an even better experience the next time they step into Elements. We make sure to reward our staff for a job well done after as well. We’ve all heard the expression “location, location, location,” and it really holds true. Not only is it important for a business to be in an affluent, nicer area, but your location on the street is vital too. Our Elements studio happens to be in a very well-lit, highly visible place. We have tens of thousands of cars pass by everyday. It helps!